4 Tips to Increase Your Family Cash Flow — BBFF | Build A Better Financial Future, LLC. Cash flow is an important part of managing a budget that many people often fail to incorporate. All too often families will tend to live beyond their means with more money going out on a monthly basis than they have coming in. By increasing your cash flow, you can tackle debt, stop living paycheck to paycheck, be ready for emergencies, and save for future purchases and goals. To help increase your family's cash flow try following the four tips below. One of the biggest problems that many families face is failing to maintain a budget properly. What often occurs when you create a budget is you use generalizations and make guesses at what you think you spend or estimate what you might spend. The other mistake you might make when creating your budget is making too broad of categories or not including enough. Start with a preliminary budget making sure to include items for expenses that may be recurring even if it's not every month. This will include items such as gifts, repairs and maintenance, clothing allowance, charitable giving, and holiday spending. Once you have created your budget record all of the money you spend for the next few months being sure to place them in the proper category. Once you have totaled these numbers, you will be left with a much more realistic view of where your dollars are going and what categories you might benefit cutting back on. Sometimes your financial situation may change, and it can be more difficult to maintain the items you once were able to afford. If your bills significantly exceed your income and you feel like you are continually playing catch up to make ends meet, your best option might be to consider downsizing your life. If you are in extreme debt, you might want to consider downsizing some of your larger expenses such as your vehicle, your home, or any recreational vehicles or boats. To make minor changes, you can consider ridding yourself of unnecessary items by selling them and using the cash to help pay down debt and reduce your monthly bills. Monthly expenses can grow over time becoming large bills that can be difficult to keep up with. Take a close look at all your bills and consider ways in which you can reduce these costs and what expenses you can do without. Look at bills that are not high priority such as cable and phone bills and see if you can reduce costs by eliminating unnecessary additions or contact your company and see if there are any promotional packages or cheaper options. If your utility bills are a large part of your expense find ways to save energy around your home such as setting your thermostat for times you are away and trying water conservation techniques. Costs of fuel can also be a monthly expense that may be able to be reduced by carpooling or utilizing public transportation. Start with any cuts you can and see if the reduction helps increase your bottom line. 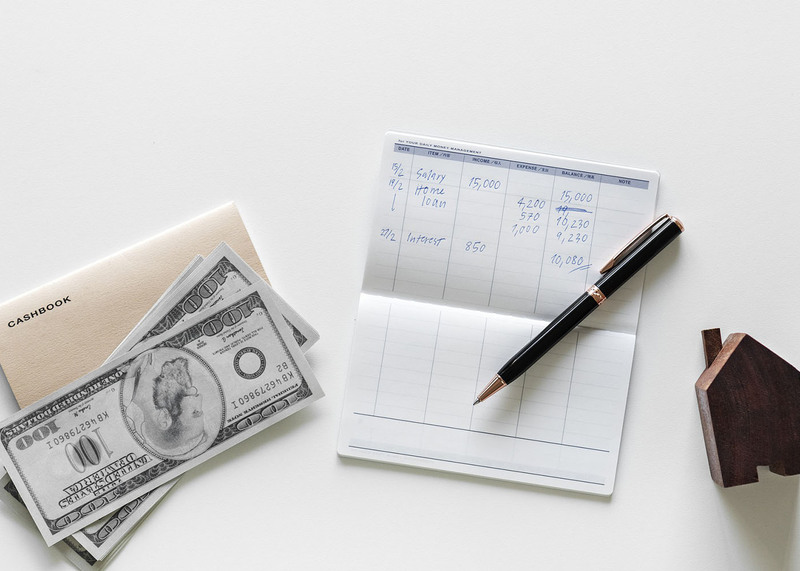 If you have made attempts to clean up your budget and reduce your monthly costs and still find yourself coming up short every month, it might be time to consider ways in which you can increase your income to cover the expenses and end up with some cash at the end of each month. You can consider taking on odd jobs, inquire if you can get more hours at work, or find ways to use your talents to take on additional work at home. Consider looking at online or newspaper ads to find extra jobs when you can, such as pet sitting. Try the tips above to help reduce your monthly expenses and improve your family's cash flow so you can get a handle on debt and stop living from week to week. Luis Rosa CFP® EA is the founder of Build a Better Financial Future, LLC. He has been in the financial services industry since he graduated college in 2001. Luis focuses on working with young up and coming professionals who are looking to better position themselves for a successful financial future. In addition to obtaining his securities registrations Series 6, 7, 63, and 66, Luis is also a CERTIFIED FINANCIAL PLANNER™ professional and is enrolled to practice before the IRS. This diverse industry knowledge allows him to best serve his clients by understanding how one financial decision affects the other, allowing him to better guide them toward achieving their goals. To meet and see how Luis may be able to help, contact Luis directly at Luis@buildabetterfinancialfuture.com.